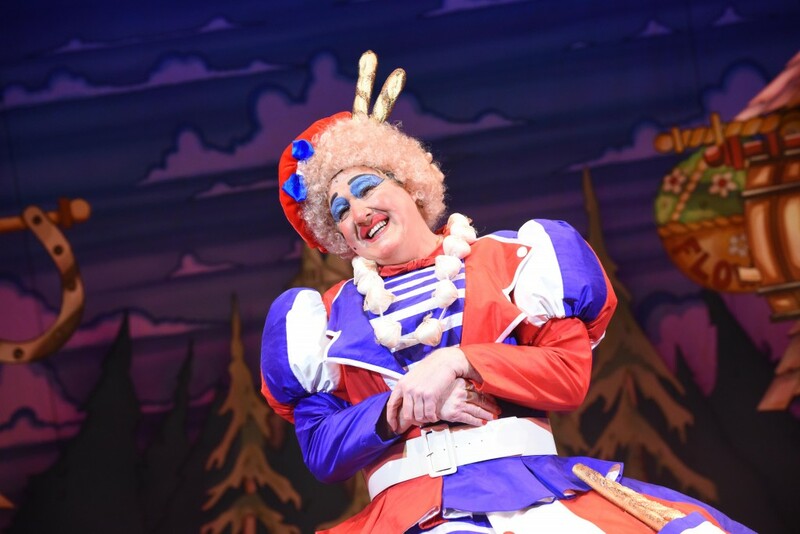 My name is Iain Lauchlan and I have been writing, directing and playing Dame in panto since 1989. Most of my dame performances have been for the Belgrade Theatre Coventry but I have performed at the Eden Court Theatre Inverness. The pantomimes that I write and direct are traditional family pantos with strong story lines and strong characters mixed with traditional panto routines. 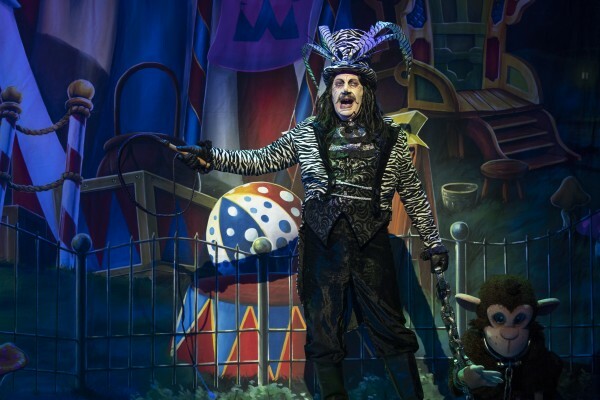 I don’t have celebrities in my shows and always use jobbing actors who are chosen for particular roles and can give a true panto performance along with a range of skills. As I play Dame myself I am in the envious position of being in control of my material and being able to craft the jokes and routines well before our rehearsal period. The dame I play is very tradition and is basically a man in a frock with doc martins and silly outfits. I have input into the designs of the costumes I wear and can therefore integrate them into the plot of the panto. They become an important part of the fun for the audience. I feel, when writing the Dames’s part, that having a holistic view of the character is very important. The dame is traditionally a comedy character who works closely with the comic and together they weave in and out of the story creating a bit of mayhem, fun and silliness. This is why it is so important to have strong story characters to drive the story through while allowing the comic characters to be a bit anarchic. Not everyone can be a comic. I like to segregate my story characters from my comic characters as this makes the performance much tighter and less messy. My dame is usually a warm mum with troublesome sons and is in financial difficulty or trying to do her best under difficult circumstances. I don’t write ascorbic wit for my dame but collect together one liners which are cheeky and funny. I then add traditional routines and try to bring them up to date a little while trying to integrate them into my story. The routines would never be a ‘stand alone’ piece which don’t relate to the plot and they are performed with the comic or the comedy baddie. If I can’t find a traditional routine that fits then I will write a new one such as the ‘Lemon Meringue Pie routine which I use in Jack and the Beanstalk. The routines have to be clean, funny, and involve the audience. I tell my cast each year that our cast in not complete until the first night when we have an audience as they are the final member of our cast. 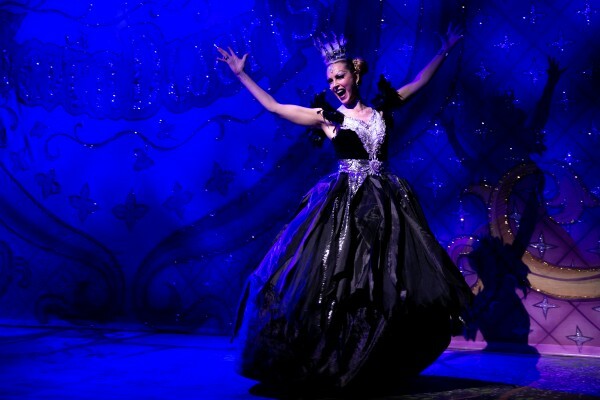 You must involve the audience as they can bring so much to a panto performance. I will often write a comedy song for the dame which is performed by the dame, the comic and the kids chorus. 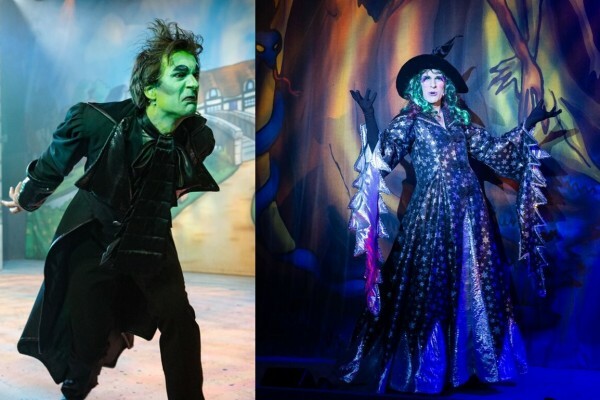 It is essential that the Dame connects with the audience and brings fun to all of the scenes that she is involved in. Finally, a songsheet led by the dame and comic can be very entertaining as the kids who end up on stage tend to react differently to both characters. The experience for the audience can be much richer and that, after all, is what we are doing it all for.